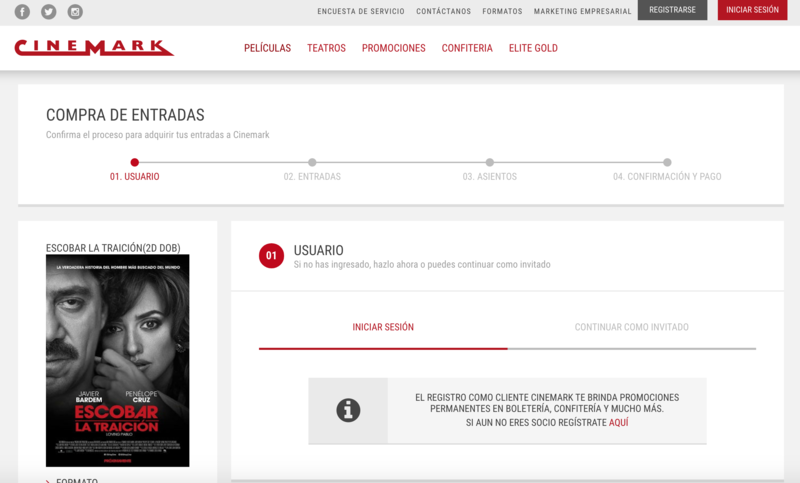 Cinemark, the leading movie exhibitor in Latin America with millions of customers continues to transform the movie experience with Modyo launching consistent digital channels across Central America, Colombia, Peru, Bolivia and Chile in 2018. The migration includes Modyo Customers, Commerce and Payments. Having worked with Cinemark in Chile the past 7 years and from the beginning of the Modyo platform, we were able to take this insight into large scale transactional channels and create a formula to companies like Cinemark to establish an architecture of reference using Modyo and AWS. The multi country release made possible by standardizing technology and processes has led to a faster time to market for a fundamentally better digital movie-going experience. By standardizing on top of the Modyo platform, Cinemark has gained speed, cadence and security. Coordinating with teams across America from North to South, Cinemark and Modyo have established a way of transforming the customer experience. Combined with a hybrid cloud solution in AWS and integrations to on premise critical infrastructure Cinemark has integrated both cloud and on premise. The benefits have been the capacity for Modyo to scale dynamically infrastructure based on blockbuster movie releases or special promotions without incurring fixed costs tied to adding more on premise infrastructure. Modyo’s steady focus on adding more payment gateways across Latin America directly into the core Modyo platform has also helped hundreds of thousands of customers across Latin America avoid wait times in lines. We’re proud to help Cinemark continue its digital transformation.